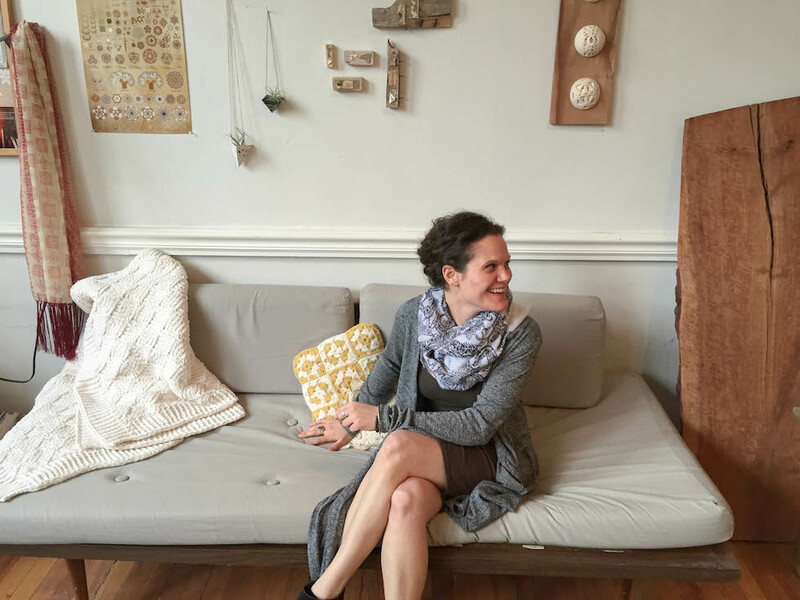 Nina Kawar M ’14 in her studio in Asheville, N.C.
Q: Where do you live now, and what do you do? A: I’m a Palestinian-American artist currently living in Asheville, North Carolina. 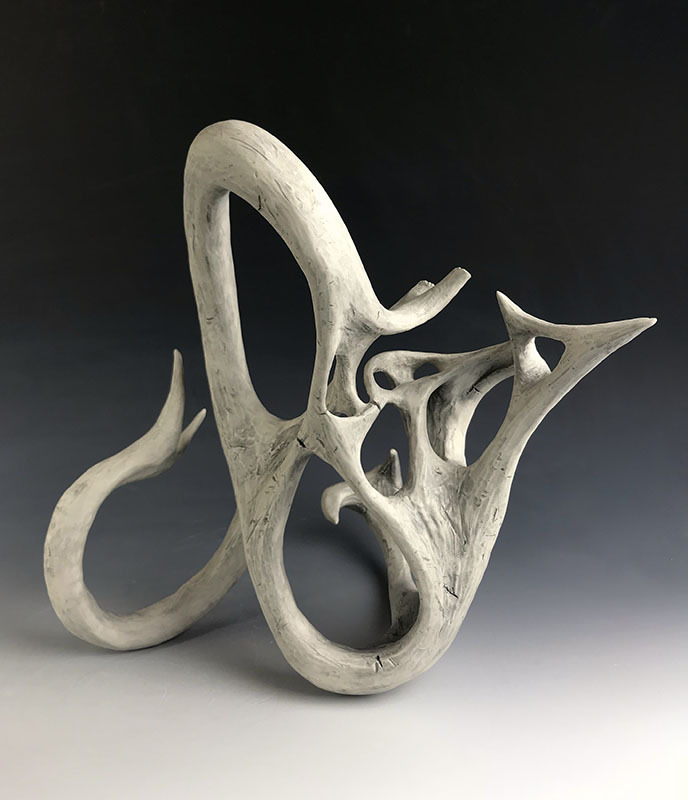 The majority of my time is spent working in my studio in Marshall, North Carolina, creating porcelain fine art sculptures for galleries and exhibitions. 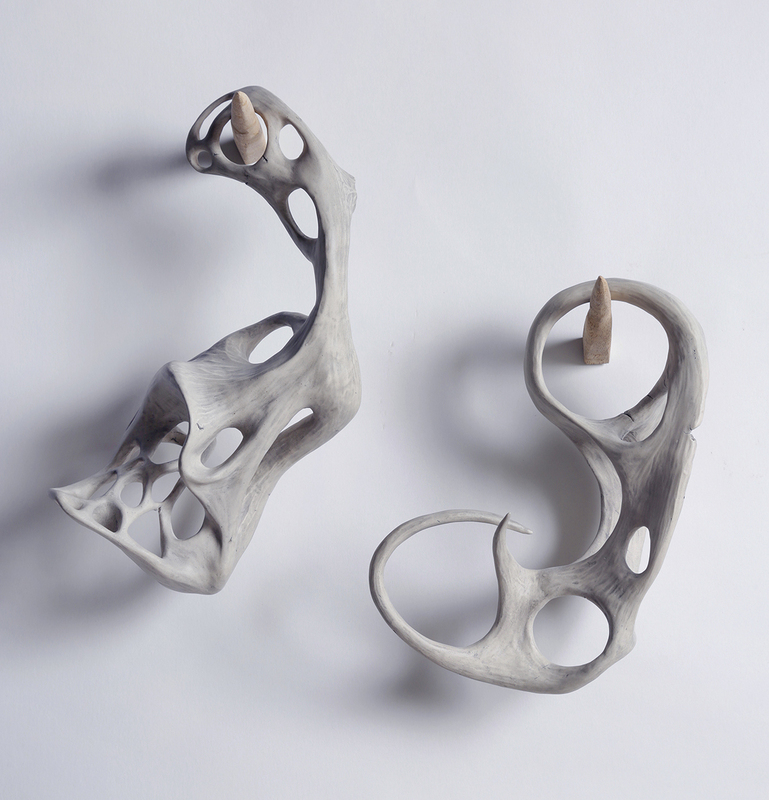 A: Organic, abstract and reminiscent of forms found in nature. Q: What is the best part of being a sculptor and artist? A: Working with multiple materials and tools. Whether it’s clay, wood, metal, fabric or resin, there is always something to learn from each material, and I get excited about learning new processes, challenging myself to play and giving myself permission to fail. Q: Anything you wish you knew when you were younger? A: That not everyone is going to like who you are or what you do. It took me some time to figure this one out and let go of others’ opinions and thoughts. If only I’d come to understand the validity and unique perspective of my voice as a child, perhaps I would have been making art a lot sooner. Q: Favorite memory you have from Clemson? A: Some of the sweetest moments for me were collaborating with my peers in firing the Anagama wood kiln. From splitting wood, stacking the work, stoking the kiln and unloading, it took a village.